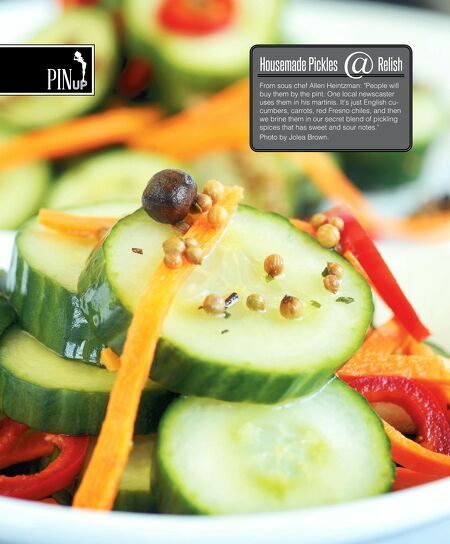 PINUp 13 0 LOUISVILLE MAGAZINE 8.13 Housemade Pickles @ Relish From sous chef Allen Heintzman: "People will buy them by the pint. One local newscaster uses them in his martinis. It's just English cucumbers, carrots, red Fresno chiles, and then we brine them in our secret blend of pickling spices that has sweet and sour notes." Photo by Jolea Brown.